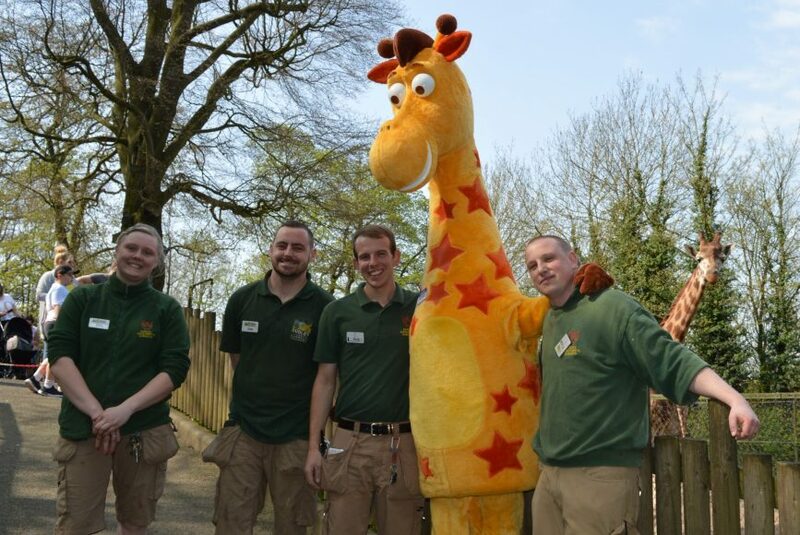 It was a tall order when staff from a closing toy store delivered a giant giraffe mascot to his new home at Dudley Zoo. Staff from the Merry Hill branch of Toys R Us had asked us if we could accommodate Geoffrey the Giraffe as their store was shutting. Sadly all 100 Toys R Us UK stores are closing after administrators failed to find a buyer. Employees Ami Postin, Ann Clarke and Melissa Harris, who dressed as Geoffrey, came on site to bring the costume and took Geoffrey to the Giraffe House meet our long-legged family. Geoffrey was also greeted by some of our keepers who gave him a warm welcome and promised to look after him. 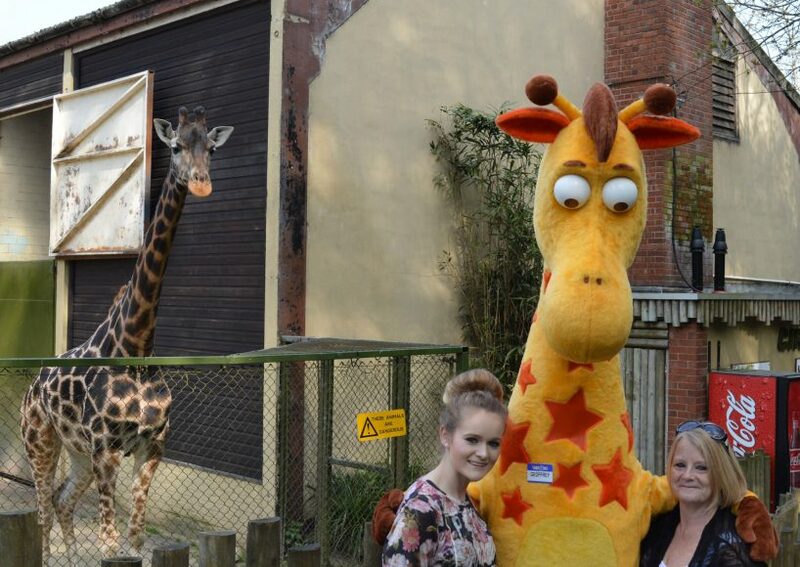 Geoffrey will now join our other mascots Jambi the Tiger, Monty the Monkey, Bertie Bunny, Lou the Bat and a new girlfriend for him – Gracie the Giraffe. Previous: It’s your day Pingu!